Cart Floor Sign - Identification Systems helps you create an organized and tidy warehouse by allowing you to easily identify where carts belong. Use drop down to select which number you'd like to appear on sign, if you don't see the number you'd like, call or enter request in comment box at check out. This sign is also available without a number. Q: Can the floor signs withstand forklift traffic? 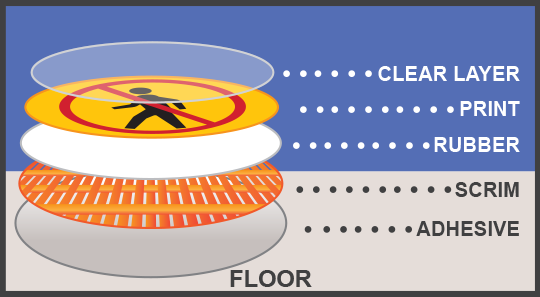 A: The durability of the floor signs will depend on which material you select. 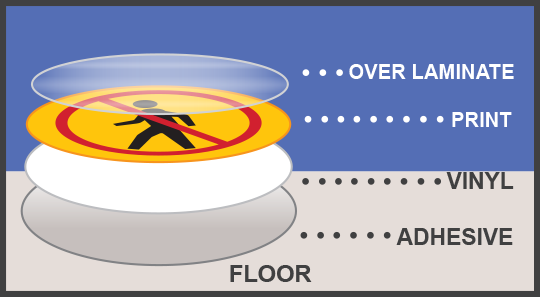 The rubber material is very durable compared to most other floor signs on the market. 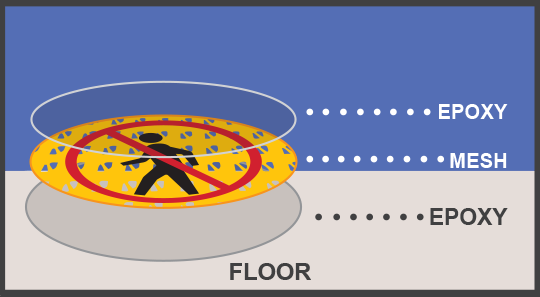 For permanent protection, consider the inlaid epoxy signs which are printed on a mesh like fabric and can be permanently embedded with epoxy into the floor. Stop-Painting products and solutions help create more productive and safer workplaces by using clear signs, labels, markers, and tapes to organize your space.